Christian Media in Nigeria : Pastor Arrested For Boarding Train Without Ticket! 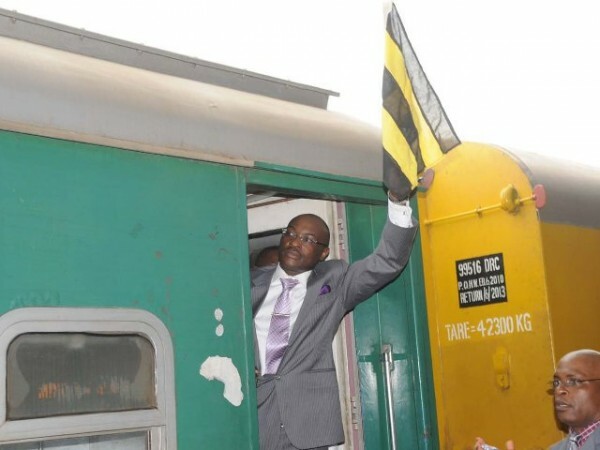 Pastor Arrested For Boarding Train Without Ticket! The Nigerian Railway Corporation (NRC) on Thursday arrested a gospel preacher and some other passengers for boarding its Lagos/Ogun bound passenger train without tickets. A correspondent of the News Agency of Nigeria (NAN) who was aboard the train reports that the preacher was arrested with others at Agbado Train Station in Ogun state. The preacher, a light complexioned man and others were arrested by the taskforce assigned to ensure law and order and arrest passengers and preachers in the train who did not have tickets. NAN reports that the preacher, who joins the train at Itoki, also in Ogun, always stayed in the first coach where he preached loudly, a development the passengers said was disturbing. Passengers in the train had in the past lodged complaints to the management of the corporation against the man whom they accused of disturbing them with his preaching. The head of the taskforce, who pleaded anonymity, told NAN that one of the rules binding every passenger in the train says: “No Preaching’’ and “No Passenger without Ticket’’ on train. “So, the preacher and the other arrested passengers will be charged to court for boarding the train without tickets,’’ he said. He said the penalty for any offence carried N25,000 fine or three months imprisonment. Asked why the preacher has not been arrested until Thursday, the official said that he must have been “intimidating’’ the ticket checkers with his preaching. The official who did not disclose the number of passengers arrested, said they would appear in court next week. A top official in the corporation, who also demanded anonymity, told NAN that hawking, alms begging and noise making were other offences people should not commit in train. NAN, however, reports that the rules or laws were not always enforced by the management of the corporation.